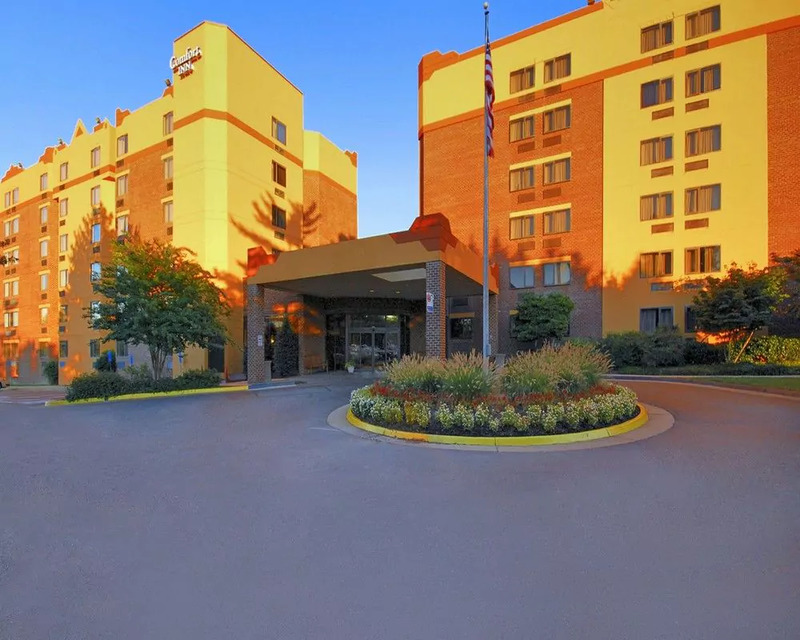 The smoke-free Comfort Inn University is conveniently located with easy access to Interstate 75, and minutes from the Gainesville Regional Airport, Shands Hospital and VA Hospital. Popular attractions are less than three miles from the Comfort Inn University hotel, including: Kanapaha Botanical Gardens Samuel P. Harn Museum of Art Butterfly Rainforest Florida Museum of Natural History University of Florida Several shops, restaurants and cocktail lounges are also near the Gainesville, Florida hotel. You are invited to enjoy our many amenities: Free wireless high-speed Internet access, free weekday newspaper, free local calls and coffee, fitness center, and an outdoor pool. Enjoy our free hot breakfast featuring eggs, meat, yogurt, fresh fruit, cereal and more, including your choice of hot waffle flavors! Travelers can use the on-site business center with a computer and access copy and fax services as well as the meeting space. All spacious rooms and suites feature refrigerators, microwaves, irons with boards, hair dryers and cable television. Laundry facilities are located on the property. This is a pet-friendly hotel; a small nightly fee is required. Be sure to ask about the golf, cultural and canoe packages that are available at the hotel. When choosing a hotel in Gainesville FL, choose the Comfort Inn West for business trips, family vacations, relocations or weekend getaways.